It's kind of boring sitting at home with Indian take-out on a Sunday evening, counting down the few hours before work starts on Monday. I prefer going to Choice Cut's for a good home cooked underground dining meal and a movie to pretend like Monday isnt even coming. It's a guaranteed satisfying meal with good company. (And see, I was so tired I couldnt even post on Monday). For $24, this past Sunday, we started out with a nice Dark & Stormy from guest bartender Brian Fong while munching on millet fritters. The side dishes were the compliments for Fall. 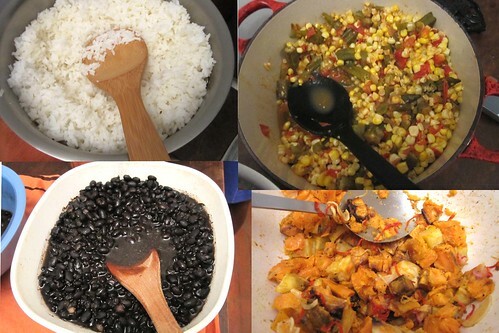 Left to Right: rice, medley of corn + vegetables, black beans + bacon, and potatoe/squash. 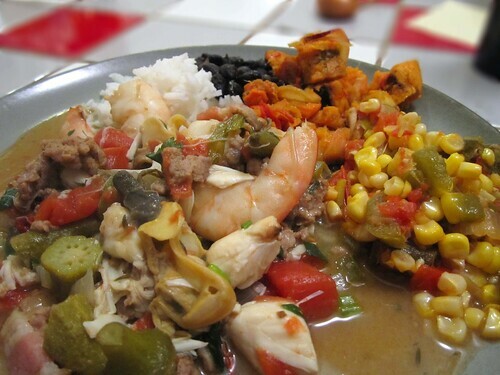 And then our main course-- Seafood Gumbo! That was the hugest shrimp Ive ever seen. 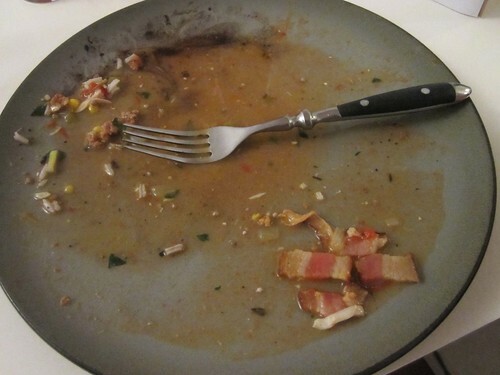 The seafood gumbo had a little of everything: okra, tomatoe, shrimp, mussels, meat...you name it. 10xs better than take out. Oh and dessert was homemade roasted banana ice cream served with a date cake. Find out about Choice Cut's monthly dinner-and-movie events here! And check out photos from the event.